September 16th, 2015 at Frigoriferi Milanesi the action house Finarte organised the conference “The Voluntary Disclosure of Art: trends and opportunities” in collaboration with Open Care, art services company. 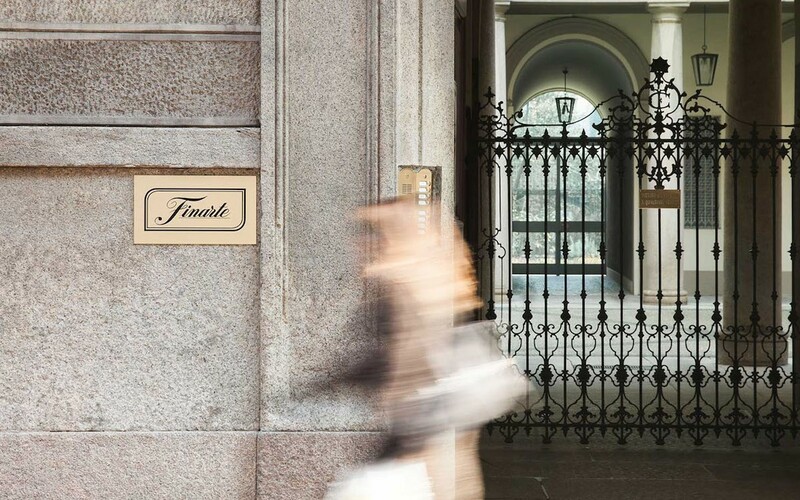 For Finarte relaunch and in view of the first auction that will be held on November 10th-11th at La Permanente in Milan, Fine Art’s professionals met to discuss the implications of the Voluntary Disclosure’s execution in art. The art market is going up, the 2014 was another record year with sales of 51 billion euro and exceeding the previous high of 48 billion euro in the pre-crisis 2007. Assuming the exchange of information is becoming the international standard for countering tax evasion and fraud, the Voluntary Disclosure is a tool that allows to taxpayers who hold assets abroad illegally to regularise their position by denouncing “spontaneously” the violation of the monitoring to Tax Authorities. The agreement of 52 member countries was signed in 2014 but from 2018 another 31 countries will add. This agreement allows the adoption of a global standard for the automatic exchange of information related to bank deposits, interests, dividends, insurance policies and tax identification codes. Regarding the relationship between Voluntary Disclosure and Fine Art, the first problem is to determine the value to assign to these assets for the regularization understood as lack of monitoring or declaration of these to the Tax Authorities from 2009 to 2013. If we have a historical prize crystallized in a certificate of purchase, it can be used as the value for the regularization. In the absence of the invoice or receipt, secondly you can use any insurance contract because the customer has identified, described and valued the good necessarily. In the absence of both factors, you can proceed to the expert appraisal in order to verbalise and certify the market value at the time of regularization. For the Valutary Disclosure procedures of art, Assofiduciaria supports legal repatriation, an alternative to physical transport of the goods in Italy, that is a deposit term through the externalization of the administration to a specialized company which acts as trust and ensure the fulfillment of the tax obligations on behalf of the taxpayer’s owner. In addition, the law case justifies the purchase of a artwork as an investment value therefore it is subject to self-laundering and it subjects to the application of the Voluntary Disclosure. The regularization in terms of art taxation held abroad has not relevance for the irregularities from the point of view of protection legislation of the Urbani Code governing the sector in Italy. Therefore when the Voluntary Disclosure is applied, it’s necessary to ask if the regularization, even necessitated, can bring out the situations of irregularities relating to the holding of the artwork abroad, such as the crime of illegal export, just for the fact that the artwork has crossed the Italian border in the absence of a certificate of free movement or because, if declared of cultural interest, it could not in any way to cross the border. In addition, the criteria for the goods release are based on a Circular of the Ministry of Education published in 1974 and they are subjects to a strong discretionary. Last year, the cultural operators came together to formulate a reform project to the government that consists of: an extension from 50 to 100 years of the time threshold for which an asset can be considered a cultural good for the standards of protection; the introduction of the value threshold provided by the EU regulation applied in Europe, except in Italy; the introduction of deadlines with the possibility of silent consent if the State doesn’t answer to the export request; a reform of the Circular of 1974 with the introduction of certain criteria and a homogeneous application in Italy. Therefore it emerged how the dynamics are complex: on the one hand an obligation to regularise the art through the application of the Voluntary Disclosure collides with the protection regulations of the Urbani Code, the other it is not so remote the hypothesis that the artwork emerges at a time when for example you want to introduce the good in the international market.